I thank the Government of Cabo Verde and the World Health Organization Regional Office for Africa as they jointly host the 2nd World Health Forum this week. With the theme ‘Achieving Universal Health Coverage and Health Security in Africa: The Africa we want to see’, the 2nd Health Forum builds upon the 1st WHO Africa Health Forum hosted in Kigali, Rwanda in June 2017. The 1st Africa Health Forum had the theme ‘Putting People First: The Road to Universal Health Coverage in Africa’. As the second iteration of the Forum commences, the outcomes of the objectives set out in 2017 are a sign of progress and Africa’s commitment to attain the highest possible level of health for its people as articulated in the WHO Constitution, the African Union Health Strategy 2016 – 2030 and Agenda 2063, and the Transformation Agenda of the WHO African Region. In this first year since I accepted my appointment as a Special Advisor within the WHO Africa Regional Office's Independent Advisory Group, I have supported the continued progress of the WHO Africa Regional Office in providing improved access to quality care across the continent. At the 3rd meeting of the Independent Advisory Group (IAG) in Johannesburg, South Africa in March 2018, we focused on repositioning the work of the WHO in Africa in the context of the WHO’s 13th General Programme of Work (GPW13) and the global WHO Transformation Plan. In particular, I welcomed the introduction of WHO AFRO's focused curriculum for the professional qualification education of Midwives and Nurses in Africa. 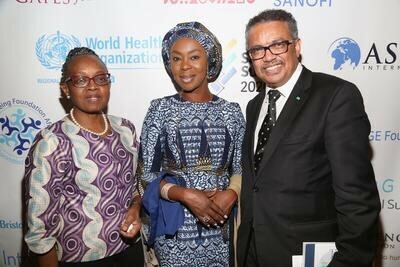 When Dr. Tedros Adhanom Ghebreyesus became the first African Director-General of the WHO in 2017, I welcomed his commitment to Universal Health Coverage as representing bold leadership and I looked forward to working closely with him and Dr. Moeti as Regional Director of the WHO Africa Regional Office. On the 6th of March 2019, Dr. Tedros announced the most wide-ranging reforms in the history of the WHO to modernize and strengthen the institution; I was pleased at this clarion affirmation of a gender focus in the internal reforms and the missions of the WHO. That today over 60% of the senior positions at the WHO are held by women is a desirable achievement towards speaking up for women and girls’ right to health. The African continent currently faces a number of complex health challenges. As the Ebola outbreak in the Democratic Republic of the Congo (DRC) approached 1000 cases amid increased violence last week, I commend the reaffirmation by the WHO of its commitment both to ending the outbreak and working with the government and communities to build resilient health systems. At this crucial time for improved healthcare outcomes across the African continent and the effective management of containing disease outbreaks, I am both inspired and humbled by the frontline health workers and 700 WHO staff in DRC who are working hard with partners to listen to the affected communities and address their concerns. As we observed World Tuberculosis Day earlier this week on Sunday, 24th of March, the efforts of the WHO announced by Dr. Tedros through the FIND. TREAT. ALL joint initiative in partnership with the Stop TB Partnership and The Global Fund to Fight AIDS, Tuberculosis and Malaria highlights the importance of working in partnership to collaborate on enabling access to the care for the millions who miss out on quality TB care each year. As Founder-President of the Wellbeing Foundation Africa, I have experienced how through partnerships we can achieve so much more than what we can achieve alone. Strong partnerships and collaboration have always led to longer term results. Indeed, we go farther, together. I agree with the WHO that it is only by setting standards to strengthen and accelerate joint responses can the world meet the commitments set forth in the WHO End TB Strategy, Stop TB Global Plan to End TB and Sustainable Development Goals. Today, as the Global Health Community faces new crises spurred by natural disasters, the WHO has been demonstrably effective in the provision of timely resources and solutions. As efforts continue to ramp up the health response in the aftermath of Cyclone Idai, which struck and displaced thousands of people in Southern Africa across Malawi, Mozambique and Zimbabwe, I stand with the WHO and its leadership through its Africa Regional Office and Dr. Moeti in efforts to provide urgent assistance to the region. On January 31, 2019, the Executive Board of the World Health Organization endorsed a call for 2020 to be officially recognized as the ‘Year of the Nurse and Midwife’. This announcement is a milestone on the path to giving nurses and midwives, alongside all frontline health workers, the necessary recognition, agency and resources they need to deliver the highest possible healthcare outcomes across the continuum of care. It gladdens my heart and the hearts of midwives and nurses across the world that next year will see the spotlight shine on them, and their historical forebear, Florence Nightingale. Thank you once again for the invitation to join you this Forum – I wish you the very best in your discussions. 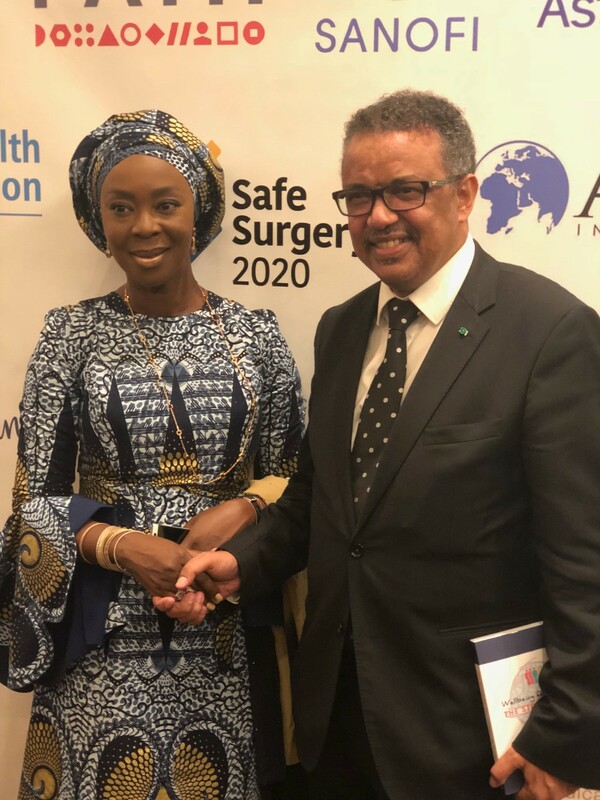 Most importantly, I look forward to working further with the WHO and its Africa Regional Office towards Universal Health Coverage across the continent and creating the Africa We Want to See.